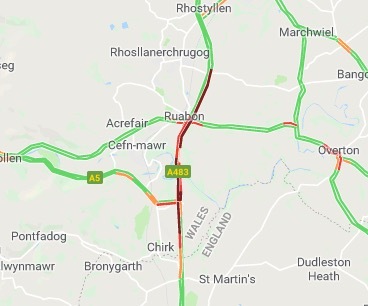 The A483 between Ruabon and Chirk was blocked most of this afternoon after a multi vehicle incident. 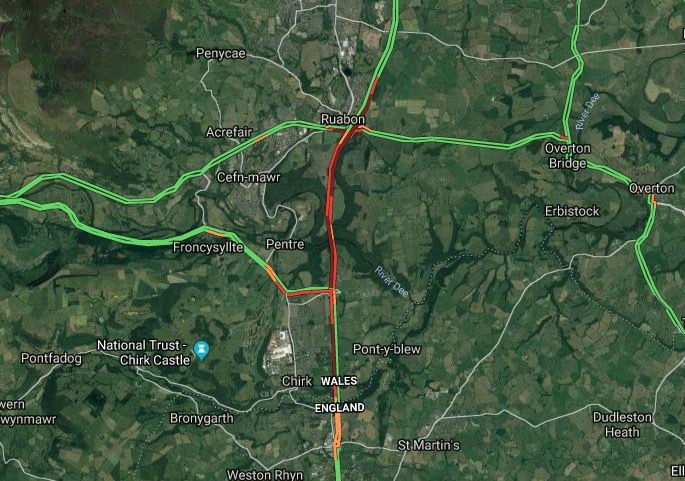 Update 5:37pm Traffic Wales have just said the road has reopened, however severe congestion remains in the area so be aware. The road remains closed off. The crash has involved multiple vehicles including two lorries, thankfully no injuries have been reported. There are large queues in the area as local routes are being used for diversions. 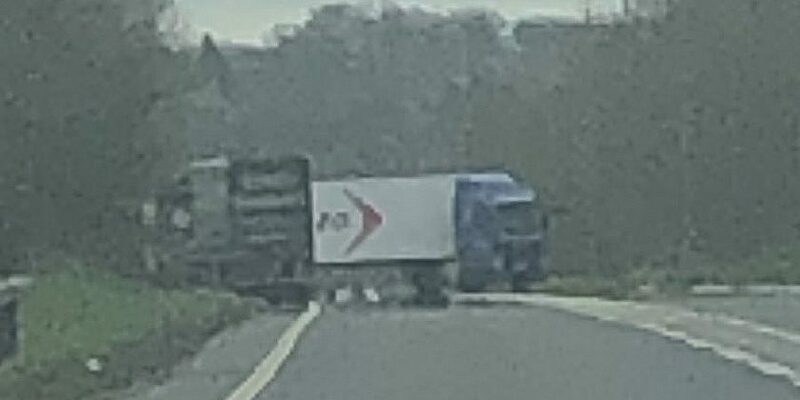 We are dealing with a road traffic incident on the #A483 J1 to #A5near Halton. The road is currently closed in both directions. There is congestion in the area and motorists are advised to use alternative routes. Thank you for your co-operation. 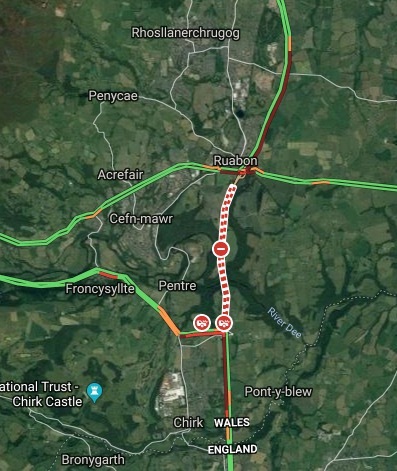 Traffic Wales have said the road is closed due to a ‘serious police incident’, with an unconfirmed report an collision has taken place between a HGV and a car. 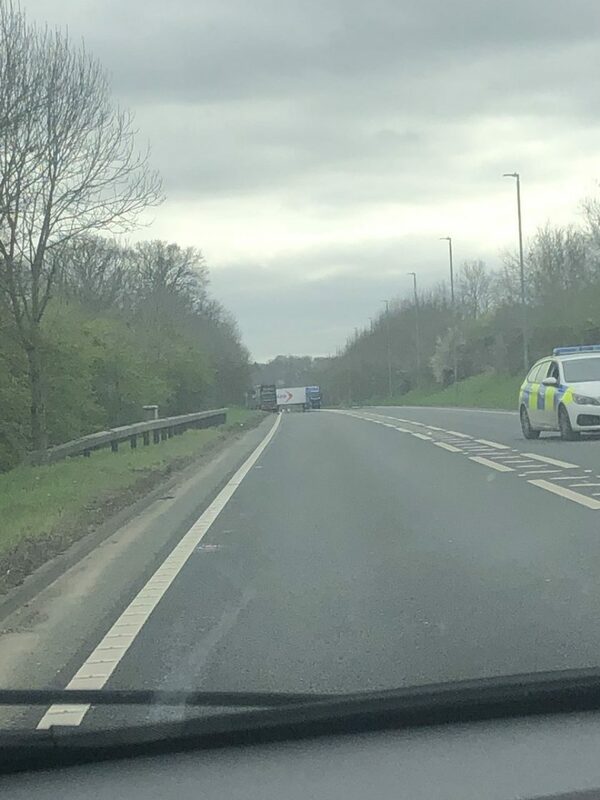 Thanks to Kayleigh for the top and below images from the incident.